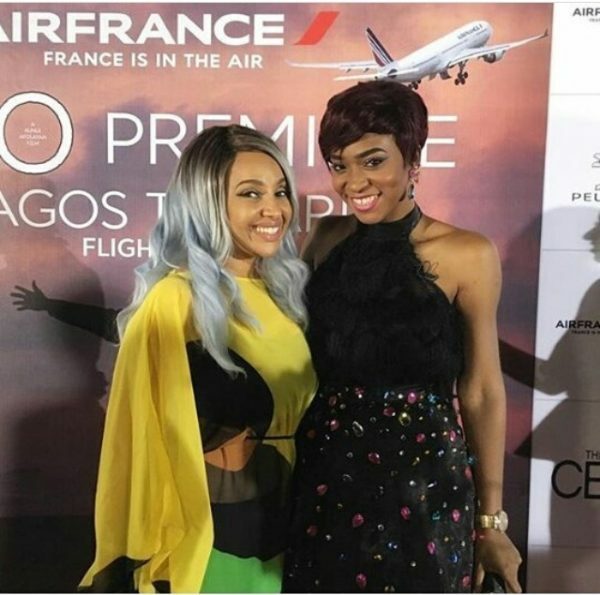 ON BOARD AIR FRANCE FLIGHT 149 (NIGERIA) – It had everything you’d find at a film premiere: the red carpet, the stars, the photographers and the celebrity interviews. 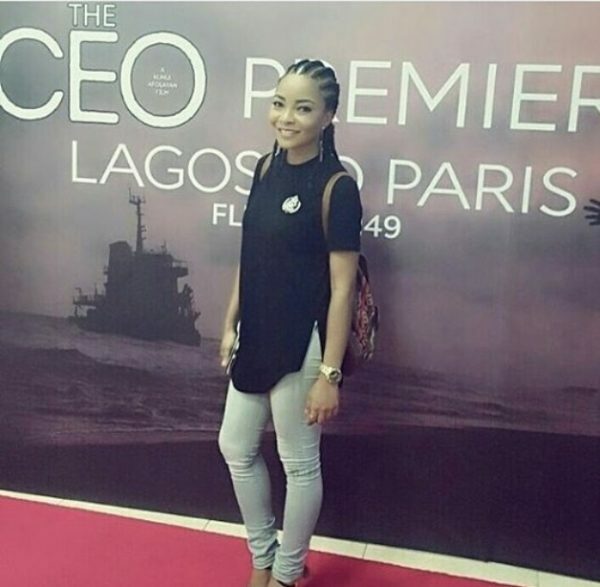 But Nollywood film “The CEO” had something else — an Airbus A340-300. It will also take top billing at the Nollywood Week film festival, which starts on Thursday in the French capital and runs until Sunday showcasing the giant Nigerian cinema industry known as Nollywood. The film, directed by Kunle Afolayan, got its first airing on Air France flight 149 from Murtala Muhammed International Airport in Lagos to Paris Charles De Gaulle overnight Wednesday-Thursday. 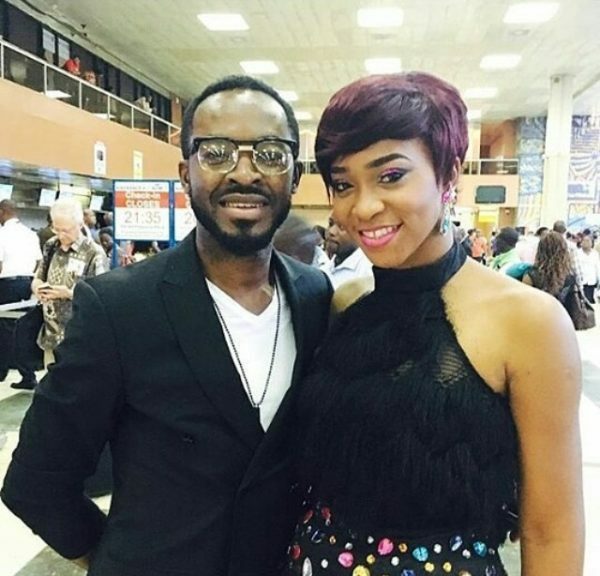 Afolayan, who pulled up to the red carpet at departures in Lagos at the wheel of a saloon car, claimed the unusual premiere on the scheduled commercial flight as a first for world cinema. “What is happening tonight, that has never happened before anywhere in the world. It’s going to be a premiere of a film in a plane,” he told AFP before take-off. DJs played in the departures hall, cocktails and champagne flowed, while actors danced with ground staff. On board after the showing, the cast met passengers and posed for photographs in the aisles. With a budget of more than $1 million (nearly 900,000 euros) and corporate sponsorship, “The CEO” is a far cry from the shoestring productions that characterise the bulk of Nollywood’s output. The plot also moves away from typical themes addressing gritty social and cultural issues and revolves around the search across Africa for a new boss of a telecoms firm. The financial backing of the airline allowed the film-makers to shoot on location in Kenya, South Africa and also in France while the cast reflects its appeal to all Africans. Benin’s Grammy-award-winning singer Angelique Kidjo is the most well-known international face, alongside actors from Kenya and Ivory Coast to Morocco and Haiti. It’s hoped better financing will help Nollywood move on from the wobbly cameras, poor sound and editing that characterise many films — and develop its craft. “For me to be part of a new territory, exploring new territories and seeing how other people do it, it’s really been interesting meeting new filmmakers,” said South African actor Nico Panagio. Nollywood is the world’s second-biggest movie industry in terms of production, churning out on average 1,000 films a year. Only the Indian film industry, including Hindi-language Bollywood, makes more, according to the nollywoodweek.com website promoting the Paris film festival. Nollywood’s turnaround time can be extremely short — about seven to 10 days — and budgets as low as just $8,000 compared to Hollywood’s average of $67 million, it added. Most films go straight to DVD and are hawked by the roadside from wheelbarrows, market stalls or at traffic lights for home viewing because of a dearth of cinemas across the country. Piracy has hurt revenue but increasingly tie-ups are being sought with online distributors to capitalise on Nollywood’s popularity across Africa and increasing Internet access. On board, Air France-KLM commercial director in Nigeria Arthur Dieffenthaler said it was an unusual collaboration between two completely different industries. “We’re at 35,000 feet (10,668 metres). I guess we’re somewhere between the Sahara and the Mediterranean… at two o’clock in the morning and people are celebrating the premiere of a movie,” he said. But the company’s Nigeria director Jean-Raoul Tauzin sees it as a logical partnership given its interests in Africa and Nollywood’s appeal. “Nigeria is an important country for Air France, so it was of interest to us to support Kunle Afolayan and his team in their cinematic endeavours,” he said before take-off.